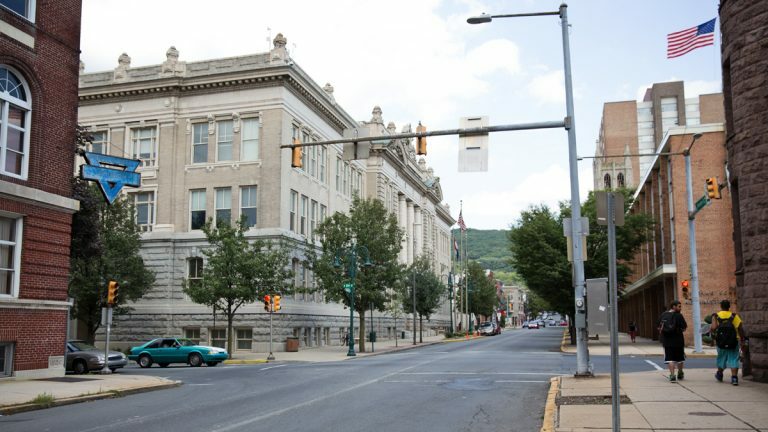 Two former city government officials have pleaded guilty to conspiracy charges in an FBI probe of government contracting in Northeast Pennsylvania. Federal authorities announced pleas Monday from former aides to Allentown Mayor Ed Pawlowski and Reading Mayor Vaughn Spencer. Prosecutors say that 48-year-old Dale Wiles followed the mayor’s orders when he steered a tax collection contract to Pawlowski’s campaign donors instead of the top vendor. The charges say the 35-year-old Eron Lloyd took part in a similar scheme in Reading designed to reward Vaughn’s donors. Defense lawyers say neither Wiles nor Lloyd made money from their crimes and both took responsibility by pleading guilty early on. The pleas follow separate FBI searches of municipal offices in both cities. Neither mayor is named in the charges.